Savage Race again has returned to Georgia and is again at the beautiful Moonlight Stables Equestrian Center. While the weather the week of the event was less than perfect for building the course it was great for making a wet, slick, muddy mess. 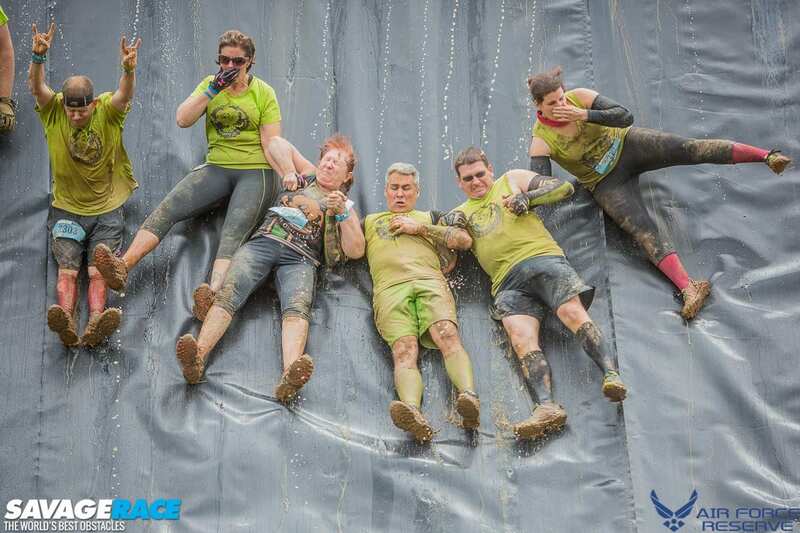 Even with the rain Savage still managed to pull off a great course and some fun new obstacles. Savage has used this same venue for all of the Georgia events to date and each time adjusts the course to use the land a little different. While the hills at the venue are not mountains, the grade and condition makes them a challenge to rival some of the nastiest courses around. Savage this year has once again listened to the OCR community and taken notes. They are one of the few events that allows teams and people to bring and set up tents around the festival area to get that “Holy Grail” of people staying and just hanging out after running and having a good time. They also listened in switching out some of the least liked obstacles for some new ones. This time Colon Blow 2000 was not there instead was the new Teeter Tuber, which was a lot of fun. 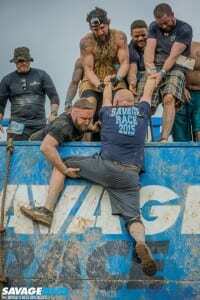 The staples of every OCR were there, the walls to go over, the barbed wire to crawl under, and the heavy object to carry. Another improvement this year was to “Balls to the Wall” were they changed the normal 2×4 pieces to actual rock climbing holds. While these holds were a lot smaller than the 2×4 pieces, but with careful placing of fingers and feet could be navigated by a lot more people. The Savage staples of Davy Jones and Nutt Smasher were there, as well as Colossus. Another thing Savage Race does right is to have the finish line near to Colossus so participants are a little cleaner as the cross and get their medals and shirts. There is just something dumb about being forced through a mud crawl and cross the finish line then be handed your finisher shirt while still covered in mud. Everyone wants to wear the shirt you just earned, plus when everyone leaves and stops at the local restaurants around and are all wearing your shirts, people tend to notice. Savage has already opened registration for their return to Georgia in the Fall, I highly recommend making the event. I have learned to expect changes from Savage at each event. 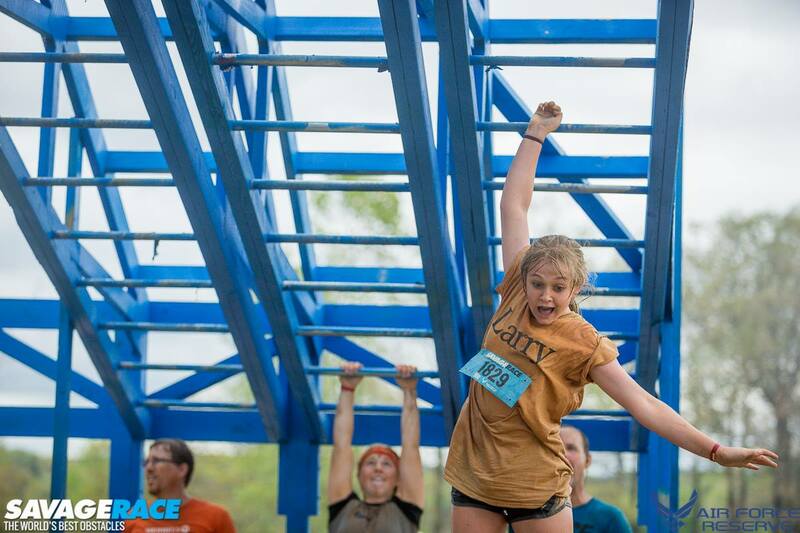 Expect 6 miles of tough terrain and some of the best obstacles in the business. Savage is still growing and I feel sorry for those not on the east coast of the US who have not had the chance to experience Savage yet. All I can tell you is either take a trip to an event or wait for them to come to you. A few thousand emails and or posts might help them decide on the next location to add. 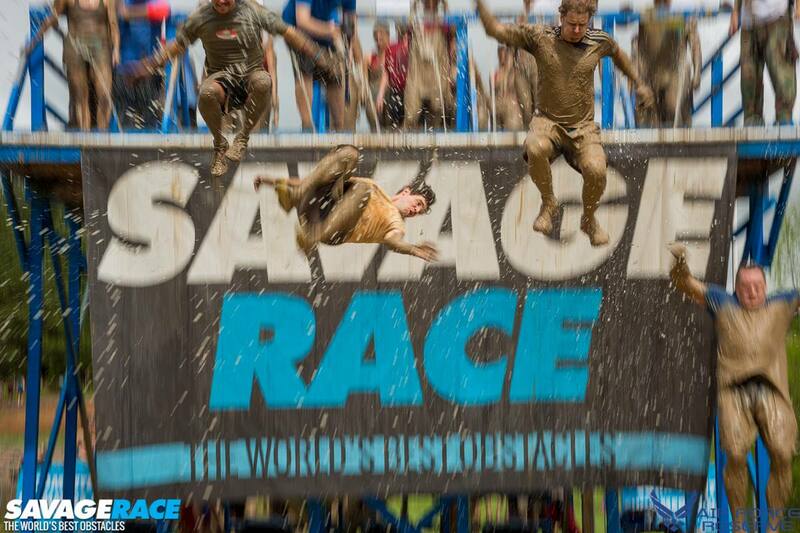 The one thing I will tell you is to sign up and start training, Savage is savage, the obstacles are some of the toughest in the business, but they understand how to put on a good event and how to keep the participants at the event and returning. I give Savage Race Georgia 5 out of 5 stars. I am not the youngest, oldest,fastest, or strongest on the course, but I am the one who will stop and help countless people over obstacles. 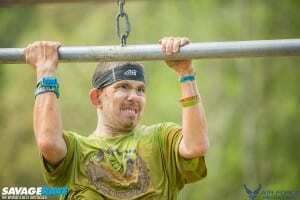 OCR to me IS the greatest sport anywhere.